In 1997 the fifth generation of video games was well underway (even Europe and Oceania had the N64 by then), but the trusty Game Boy was still the place to go for portable gaming joy. 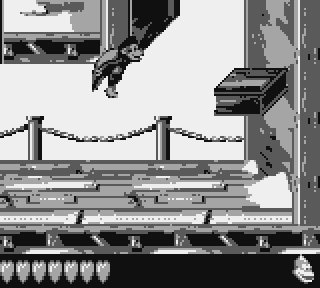 Having successfully brought monkey platforming action to the handheld twice already, Rare produced a third game — the imaginatively titled Donkey Kong Land III. This time players are given control of Dixie and Kiddie Kong as they attempt to locate the lost world. 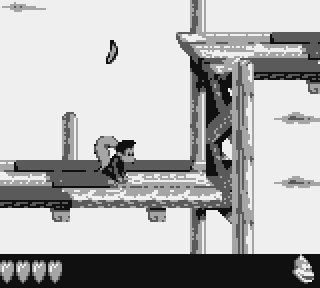 As the sixth Kong platformer from the Twycross-based developer, you know what to expect from the title: jump between platforms defeating a varied bunch of enemies and avoiding obstacles. Sometimes you'll be firing yourself out of a barrel, sometimes you'll be swimming in the waters and sometimes you'll take control of an animal friend to progress. Each level has secrets to find and items to collect: KONG letters, coins, life balloons and lots and lots of bananas (grab 100 for an extra life). Donkey Kong Land III is not a particularly surprising game, but luckily it's still a very good one. At first glance it appears very close to Dixie Kong's Double Trouble!, with the choice of available Kongs, the enemies, friendly faces and environments all taken from the third SNES instalment. Though lacking any unique locales or foes there's plenty of variety here to keep the action interesting. Locations include the riverside, cliffs, snow and underwater whilst the nasties trying to stop your progress include Kremlings large and small, peaceful but still deadly to the touch fish, troublesome spiky hedgehogs (not the speedy blue variety) and explosive barrels that have arms to drag themselves along ropes towards you. Despite these visual similarities this is not a Donkey Kong Land 2-style 8-bit re-imaging; it is more like an extra bunch of levels set in those environments. Sure, using a half-barrel to shield yourself from nut-lobbing monkeys as you climb a rope in this game is a very similar experience to using a half-barrel to shield yourself from nut-lobbing monkeys as you climb a rope in the 16-bit title, but generally the feeling of déjà vu is not as strong. The levels are well designed with a straightforward path to the goal, but with hidden items and areas for those who wish to explore. The first level has you running along wooden piers to the end, but look to the air above or dive into the waters below and you'll discover the hidden bonuses. Some levels are quite relaxed, others require quick reflexes. The difficulty is well judged with those tucked-away goodies getting harder to find as you progress in the game and the bad guys and obstacles steadily causing you more trouble as you get closer to the end. Things can get tough in the later stages but like the previous games the biggest challenge is in finding everything. Accompanying the platforming action are a few simple but effective sound effects and some very impressive music; composer Eveline Fischer provides several catchy tracks that add to the adventure. Some are exciting or fun, others add tension. There are a lot of different sounds used in the music but they compliment each other well and avoid descending into irritating beeps; this is certainly not one of those Game Boy games where you turn the volume down further and further the more you play. Eveline, our ears thank you. 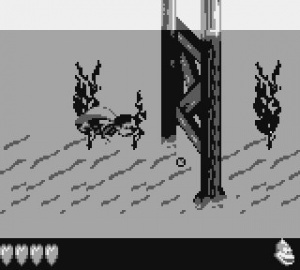 The controls are responsive and the buttons do the same as in the previous handheld titles: A to jump, B for throwing, running, spinning (and Dixie's helicopter spin) and select to switch between the two Kongs. As always the two characters have different abilities and whilst either can be used in a given situation, you will find some suit one more than the other. See a big Kremling that Dixie will just bounce off? Switch to Kiddie to dispatch him, hand over to Dixie to float over that tricky gap, then back to Kiddie whose roll is your best bet of dropping down to that lower platform without taking a hit. Despite being created for a 8-bit handheld the game resembles the third SNES game reasonably closely, with plenty of detail and fun little touches like Dixie blinking and Kiddie rising his eyebrows. 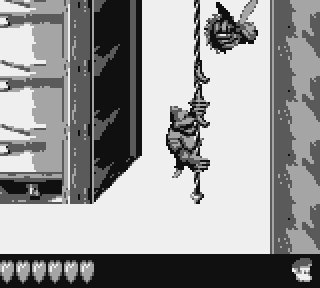 Occasionally sprites glitch, but despite the detail the action remains clearly visible and this is a very good looking Game Boy title. One unfortunate omission from this eShop release, however, is colour. This is not the part of the review that bemoans the lack of Super Game Boy enhancements (though they are absent), but rather the bit that wishes the Game Boy Color version had made it to the West back in the day. Released only in Japan (and currently being enjoyed by Japanese 3DS owners), it may not have been the most impressive colourisation ever (each character and object tends to use a single colour) but the colour did enhance the visuals and it's a pity that it remains a Japanese exclusive. Just like in the second Donkey Kong Land, saving your progress through the game is done via Wrinkly Kong, but without the requirement of collected coins. This is an improvement, but there's still the problem of having to clear a few levels before you can make use of her services. Luckily the trusty Virtual Console restore point comes to the rescue of 3DS gamers once again, allowing you to put down your machine when you need to in order to catch that train, feed that baby or perform that bit of surgery. Further help is provided at Sheepy Shop where a bear named Bear (really) will — in exchange for coins — provide hints, teleports to other worlds and the chance to win some special DK coins and watches; all the watches and DK coins are needed before your final duel with K. Rool can commence. As with the previous games your save file includes a percentage score showing how much of the game you've cleared and a time showing how long it's taken you to do so. Defeating K. Rool for the final time opens up a new mode on select levels that's likely to be popular with competitive people on Miiverse. There are 42 levels in total and with hidden areas and things to collect there's plenty to do before you've achieved full completion. Even then you can try for a faster time or just replay because the various levels of jumping, climbing, swimming and Toboggan riding are a lot of fun. Rare have once again stuck a lot of content into the game, providing good value for your money. Like the rest of the series it features a varied collection of enemies and locations for you to work your way through. It may not do anything new but it does do things well. Donkey Kong Land III is a good looking, great sounding Game Boy title, but more importantly it's a lot of fun to play. The best of the DKL trilogy and one of the best options for 3DS-owning platform fans. This was the only good GB game I had back then. Sounds like a lot of fun! I am looking forward to being able to finally try out the Donkey Kong Land games! As soon as NA gets these and the SNES counterparts I'm downloading! Rare really gave up quickly on making a Donkey Kong platformer, didn't they? Diddy was pretty much the only character that you could beat the game with in the first game, then nothing until DK64. By this point, you are dealing with Kiddy Kong. 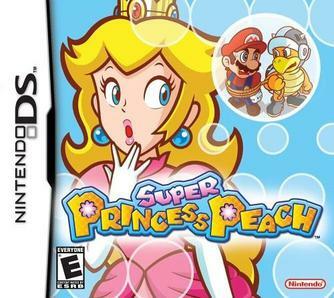 I guess the level design is what matters, but I'm still waiting for a Mario platformer where you play as Princess Daisy and her nephew, Junior and go save the rest of the main cast. It's a surprisingly good platformer with an excellent soundtrack and has a decent challenge (10+ hours) if you're playing to find and unlock all the hidden stuff. Well worth a look if you're after something a little different. I honestly thought that the GB DK games (since i never even heard of them) would just end up being "poor, rushed ports" and yet, they are almost perfect scores. Amazing. And yes, they absolutely deserve them. This game is great, but I don't understand why you rated it so much higher than DKL2 as I think that game has better level design. I'd say that "generally the feeling of deja vu" is quite equal in both and I don't consider that a bad thing. Back when these released, my friends and I all considered it amazing how near-identical the GB versions were to the SNES games. It's a really unique game. Too bad it treats the player like a moron and never lets one figure out the puzzles oneself. The RPG aspects are really neat, though. I wish the mainline Mario platformers innovated as much as that game did. I have DKL2 and 3 on their sweet banana yellow cartridges and I honestly prefered this one over the second. This along with Super Mario Land 2 was my first Game boy game, and I love it. I just hope NoA wakes up soon. Now if Rare would only allow the release of Goldeneye for N64 and Snake, Rattle, 'N Roll for NES, I would be totally happy. A truly great Gameboy title. I still dig it out from time to time. hopefully an NA release is on its way, looking forward to playing these again! Best of the trilogy? Bit bias, aren't you? 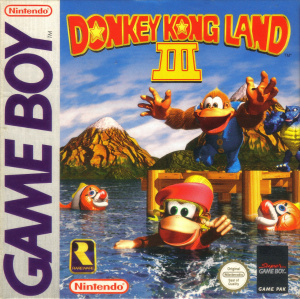 "— the imaginatively titled Donkey Kong Land III." Rare considered having a sub-title, The Race Against Time. Donkey Kong Land games were the best Land-games on GB (Mario, Wario, Kirby, you´ve been beaten). DKL3 is in top-5 Game Boy games. Gotta clear this one 100% some day. Never got a chance to playable any of the Donkey Kong Land games so I'm glad they have finally been released on the virtual console. Now if only they would give a release date for us North American Donkey Kong fans. This is the only 2D Donkey Kong game I own. 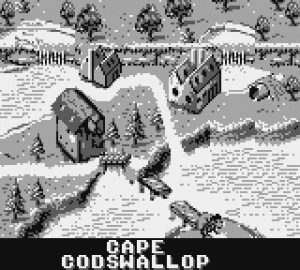 Getting to the very end of this game was an immense challenge but it remained one of my most played gameboy games ever. NoA..... when is it our turn? @ashlyquin This month, I'm pretty sure. November is DKC's NA anniversary month.